So whether you are a first time home buyer, you are moving to North Carolina, or you have not bought or sold a home in a few years earnest money and due diligence money might be new terms for you. 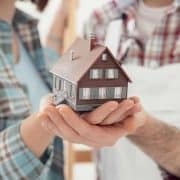 Although the two terms might sound like just another way to throw money into an offer, they are there more to protect both buyers and sellers during the transaction than anything. As a buyer, you want to ensure that you are given the proper time to check out the home and make sure it is a good investment before you make such a large purchase. This time (known as the due diligence period) is a set time within the Offer to Purchase contract that allows you to get inspections, appraisals, obtain loan approval, and perform property surveys. Along with the due diligence time, you have a due diligence fee. The due diligence fee is a negotiable, non-refundable fee a buyer may pay for the negotiated due diligence time period. The due diligence fee is paid directly to the seller. Before the end of the due diligence period, the buyer has the right to terminate the contract for any reason or no reason at all, while the seller remains bound by the terms of the contract. While the due diligence period is non-refundable, except in the event a seller breaches the contract, the due diligence fee is typically credited to the buyer at closing. Earnest money is money that the buyer gives the sellers to show your good faith when making an offer to purchase the seller’s property. Again, the amount of earnest money is negotiable. Most of the time the earnest money is a check written out to a listing agent or an attorney’s trust account (escrow account). As long as you do not default, the money is yours and will be used for closing costs or your down payment at closing. If you do not close, the buyer, may or may not be entitled to a refund of your earnest money depending on why the closing did not occur, the offer to purchase is the guideline. Here’s the catch, even though it may appear obvious that you are entitled to a refund, both parties (buyer & seller) must sign off on how the earnest money is disbursed before the firm holding the earnest money can release the money. The contract will always state the final say in all issues regarding the earnest money and due diligence fee. While both fees are negotiable they are not required. Make sure to ask your real estate professional what the local market is trending regarding both fees.